We dined on garlic soup and carp last night and found them to be excellent. 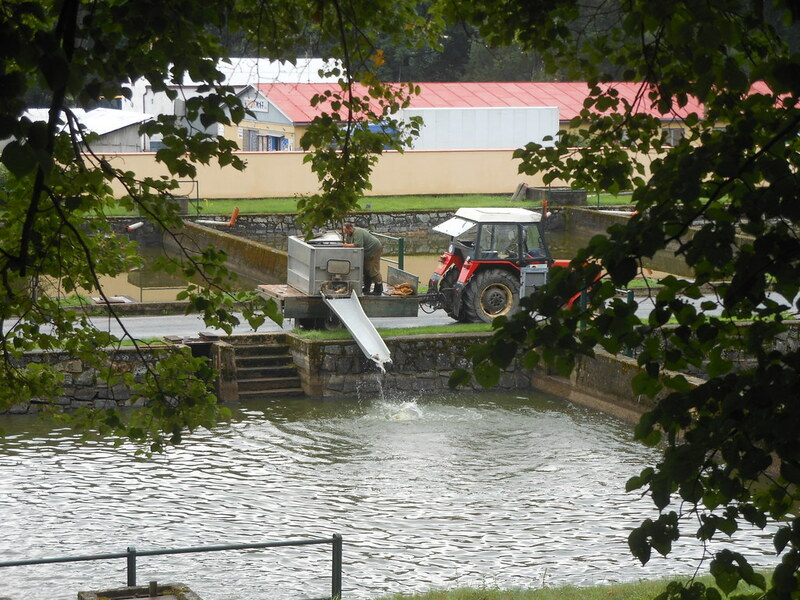 On the way out of Trebon this morning we passed a huge carp farming area with dozens of large concrete ponds. They take it seriously here. The weather cleared but it was hazy, misty and humid. Riding along forest tracks on this trip we have often seen people with baskets collecting fungi and mushrooms. 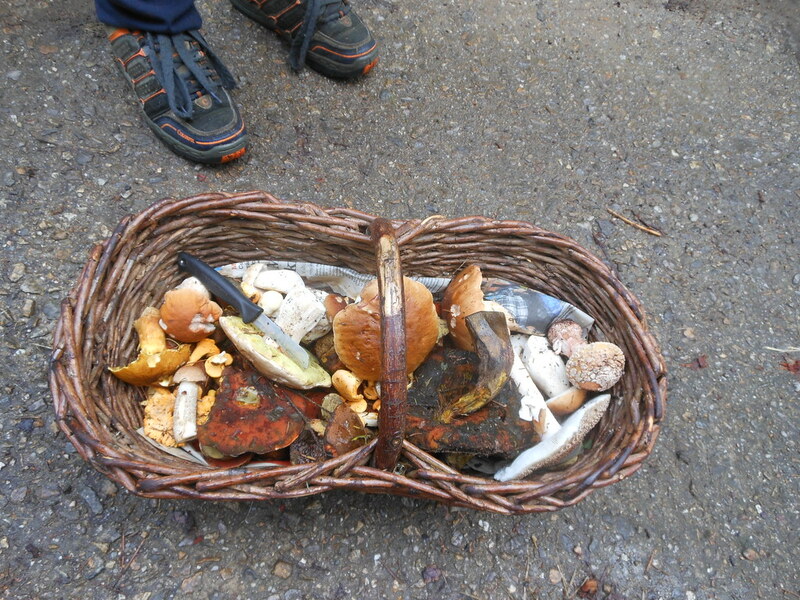 Today we had a close up look at the contents of a basket – they look knobbly but they must be good! The approach to Cesky Krumlov was more industrial than I had expected for the jewel in the Czech Republic crown of UNESCO recognised towns. It is in fact quite a large city surrounding the small historical area. While it is beautiful, it was so full of tourists, tour groups, tour group leaders and associated tourist stuff that it was unbearable. 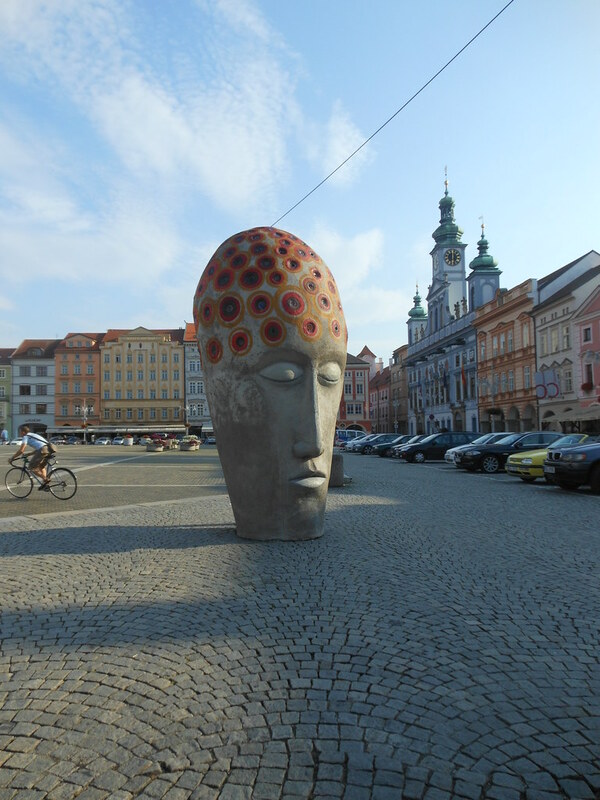 We walked through and took in enough, then caught a train to Cesky Budejovice, home of the real (not American) Budweis beer. It has the most splendid enormous town square, but they do need to slow the traffic around the edge – I nearly got skittled a couple of times. 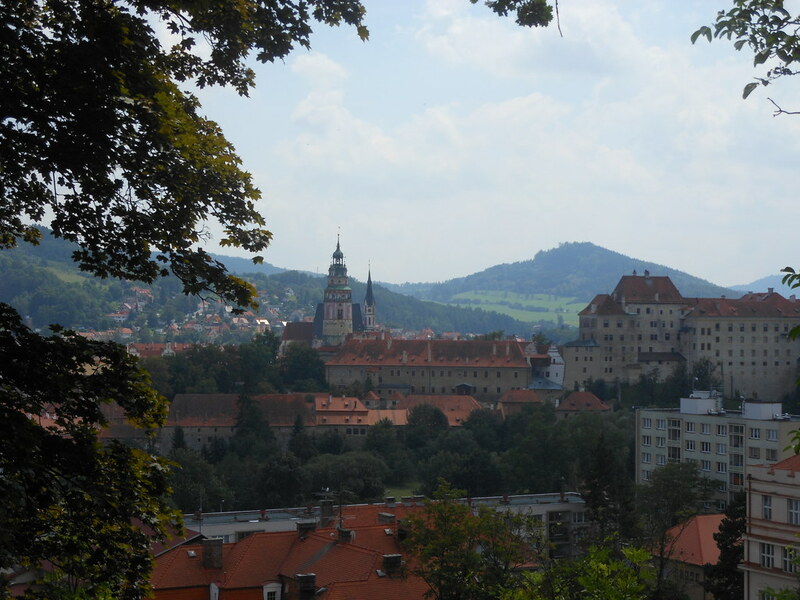 This entry was posted on 26 July 2012 at 7:44 pm and is filed under Czech Republic. You can follow any responses to this entry through the RSS 2.0 feed. You can leave a response, or trackback from your own site. plastic or metal and a few actually have a blend of both.